Lansing Restorative Dentistry | Gary Hubbard Advanced Cosmetic and Restorative Dentist | Crowns, Bridges, Dentures, Extractions, Implant Restoration and more. Dr. Hubbard provides full dental restoration services in East Lansing Michigan. Restorative dentistry can resolve issues of dental pain and discomfort. Today’s modern dental procedures can restore one tooth, several teeth or provide a full set of custom fitted dentures. For additional information on our expansive restorative dental services please contact us here to schedule an appointment or call us directly at 517.332.2422. A “root canal” is the process of removing the infected and painful nerve of a tooth. Occasionally this may be done for severely broken down teeth as well. This is a great alternative to what would otherwise be an extraction. We work with outstanding specialists for this procedure and they take excellent care of our patients. Without treatment infection and abscesses can form on the tissues surrounding the tooth. Should you have an infected tooth it can be very painful and we will refer you to our Endodontic specialist colleagues at the earliest opportunity, which is often the same day. We have a very special relationship with them and they will take excellent care of our patients. Dental bridges literally bridge the gap created by one or more missing teeth. A dental bridge is made up of two bridges for the teeth on either side of the gap. The two anchoring teeth are called abutment teeth and secure the false tooth or teeth in between. These false teeth can be made from gold, alloys, composite resins, or a combination of these materials. Dental bridges can be supported by both natural teeth and implants. 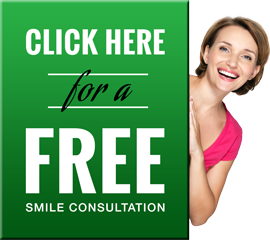 Are you missing one or more teeth and want a permanent replacement solution. If you are considering a dental implant, Gary Hubbard Family & Cosmetic Dentistry is your resource for implant crowns. An implant crown is a composite reproduction of the lost tooth that is placed over a dental implant or post. The implant crown replicates the original tooth in shape, size, strength, and appearance. When the crown is adhered into place, it will fully encase the entire visible portion of the dental implant. Read more about Dental Implant crowns and restorations here. If you have lost some or all of your teeth due to gum disease, decay or accidental impact, dentures can dramatically improve your smile. A denture is a removable replacement for missing teeth and surrounding tissues. Our East Lansing dentists may suggest full dentures or partial dentures, depending on how many natural teeth you have lost and the condition of your existing teeth. We perform certain simple extractions. When we judge you would be best served by a specialist due to the location or other factors, we will refer you to an Oral Surgeon for these services. In some cases, due to severe periodontal bone loss or decay, extraction of the remaining teeth is sometimes the best solution, with either implant replacement or conventional complete dentures. Putting your dental health in the hands of Lansing family dentist, Dr. Gary Hubbard, is an important decision. You can be assured that you will receive the most dependable, comfortable, and quality dental care available. To learn more about East Lansing dentist Dr. Gary R. Hubbard, or any of the high-quality restorative dental services we offer, please contact us here or call us directly at 517.332.2422.